How does a world champion plan a strategy? 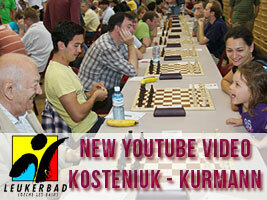 Here is an insight into a world-class Grandmaster’s mind with explanations. 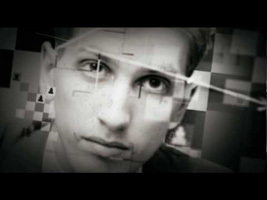 Sit back and enjoy this rare treat brought to you by www.chesskillertips.com. 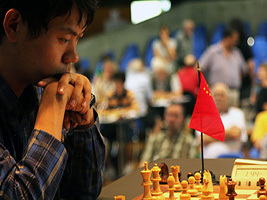 If you want to play like this, train with Chess King. From the game Alexandra Kosteniuk – Shen Yang, Beijing 2008. White plays and wins. True strategical thinking required. A Chess Study from 1898: Give it a Shot! 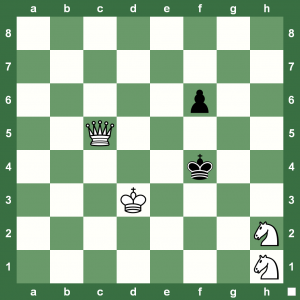 Do you that you will feel good after solving this Intermediate-level chess study? True, try it! 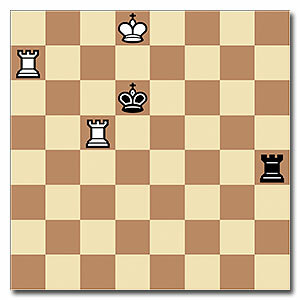 It is White to move and play for a win. This is a 1898 miniature chess study by Troitzky. 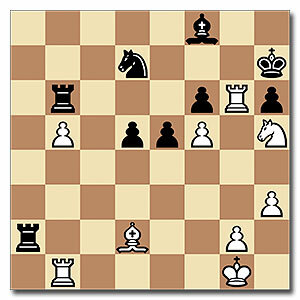 The puzzle is brought to you by the super #1 database of chess video podcasts at www.chesskillertips.com. The podcast show is hosted by 12th Women’s World Chess Champion Chess Queen™ Alexandra Kosteniuk. Weekend Chess King Class: Do You Know the Enfilade Trick? Chess King is ready with an endgame lesson for you. There is a very useful technique called Enfilade. 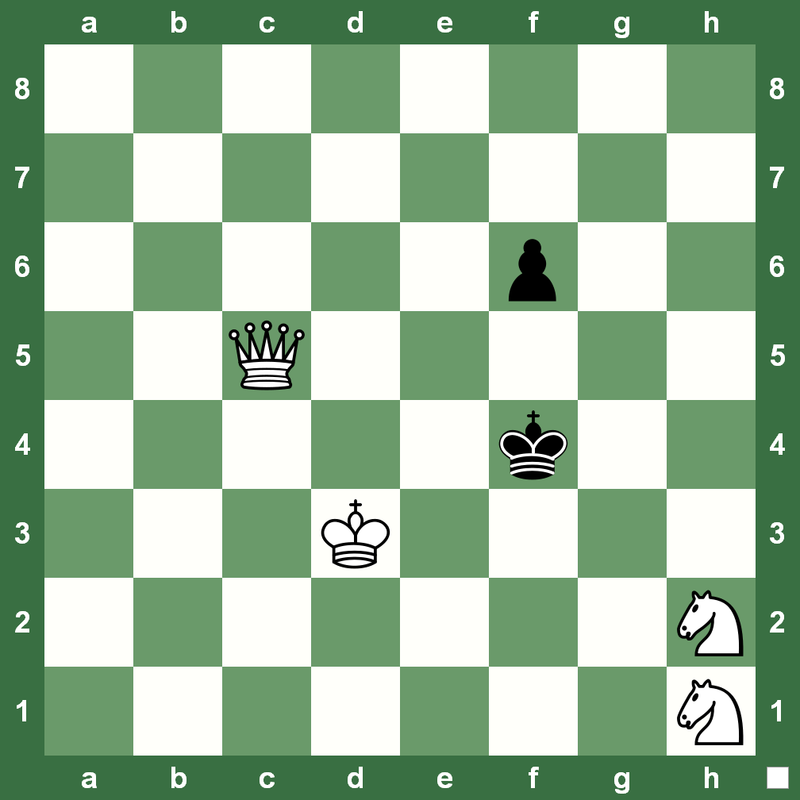 This position was taken from a 1737 chess book. Can you quickly spot how White plays and wins? Check your answer with the award-winning podcast series hosted by Chess Queen™ Alexandra Kosteniuk. How about a chess date tonight? Chess King and Chess Queen go for a dance and dinner of checkmates. By the way, Knights on the rim are not dim this time around. First, White to play and checkmate in three. The second time, White to play and checkmate in two. Enjoy the romantic dance. Find the answer in the extended post. 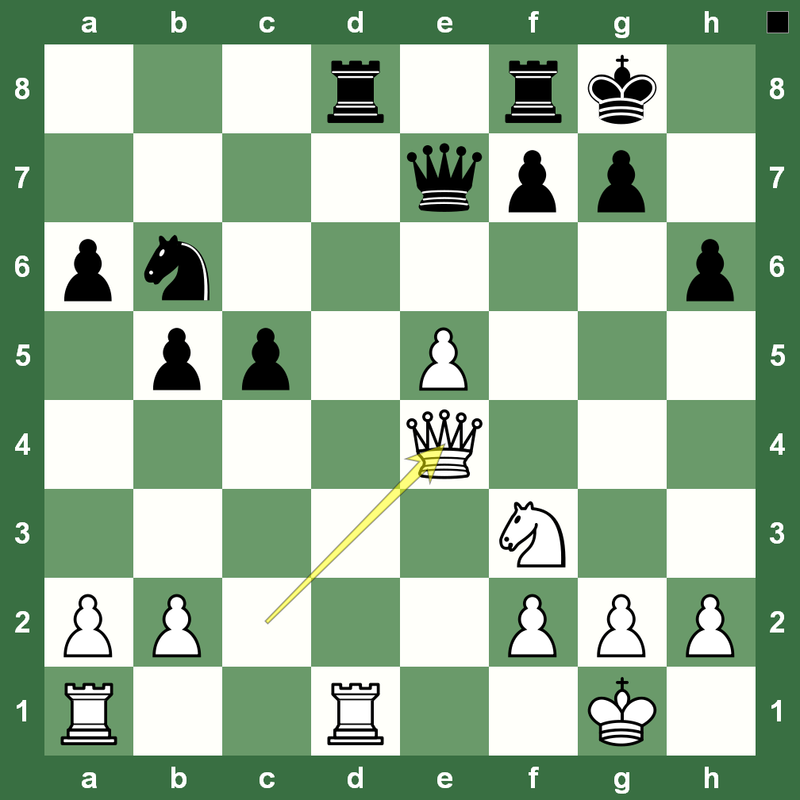 Fischer’s Chess Game of Four Queens: Dare to Draw Petrosian! The year was 1959. The masters were Robert James Fischer and Tigran Vartanovich Petrosian. Imagine having four chess queens on the board and the game ending in a draw. That’s as close as it could get. A game that must be studied and remembered. You can improve your chess training by finding master games in Giga King with Chess King. Games are available since the ‘beginning of time’! Russia has won the traditional match against China in Peterburg. Some very interesting games were played in the event. 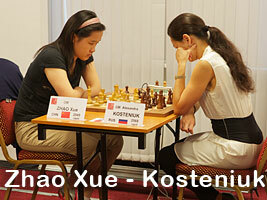 For a full report check out this Chess Blog link and Chess Queen Kosteniuk’s Blog Post. Here is a great game full of ideas by 12th Women’s World Chess Champion Chess Queen Alexandra Kosteniuk against the strong Zhao Xue – China Grandmaster. Black to Play 21. ...? Can you play like the 12th Women's World Chess Champion Alexandra Kosteniuk? Friday-night chess puzzle is all about converting a positional advantage into a material one Chess Queen Alexandra Kosteniuk style. 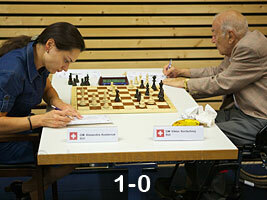 The 12th World Chess Champion was up against a fine player in the 2001 Women’s World Chess Championship. 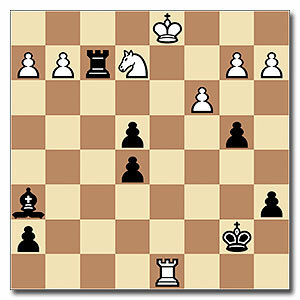 Figure out a winning plan for Black in the position and the 21st move for Black. 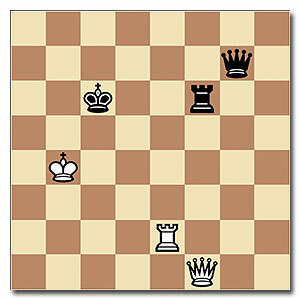 Replay the game with Chess King for the full game and answer.